British Drivers Forced To Take Spanish Driving Test. Any British person wanting to drive in Spain after Brexit will have to take a mandatory Spanish driving test. The British Government has advised all British expats in Spain to transfer their driving licences to Spanish documents before Brexit happens. 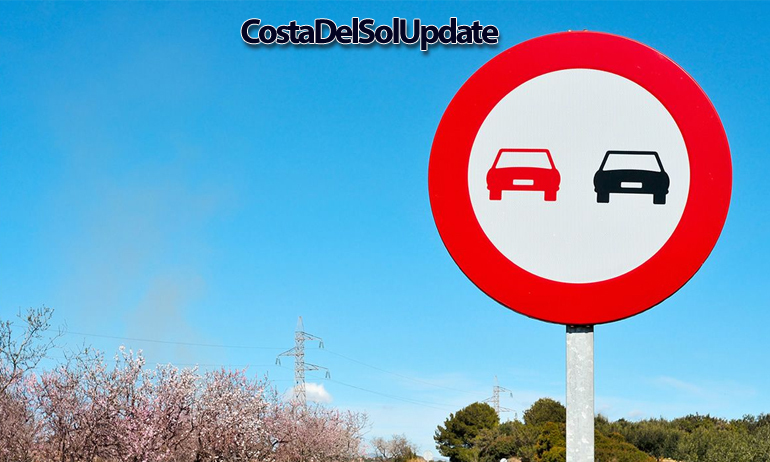 However, the Costa Del Sol authorities have announced that it’s no longer a case of simply transferring a licence, all drivers will now have to take a Spanish driving test. The new rules don’t just apply to Brits to living in Spain, they will apply to anyone from Britain who drives here, including tourists. British drivers pictured brushing up on their skills before taking the Spanish driving test. 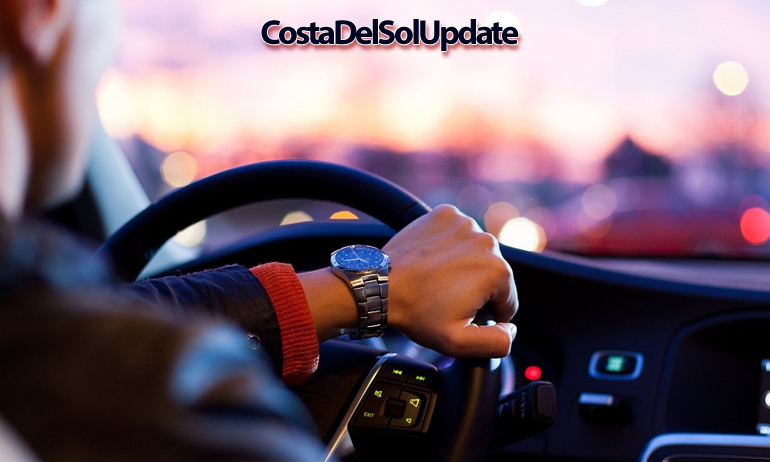 The new measures will mean that every British expat or holiday maker who wishes to drive in Andalucia will have no option but to sit an independent driving test in Spain. 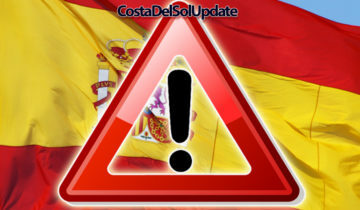 Upon passing the test, a temporary license will be issued by the Andalucian Road Safety Executive. This license will remain valid for a period of 12 months. Senor Marco Aletas De Barro is the chief executive of the regional government’s British Expat Drivers Persecution Committee. 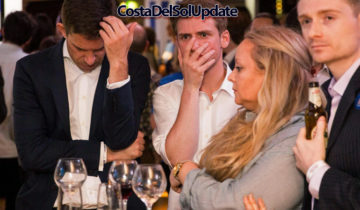 He says “We have had no choice but to introduce mandatory tests for British drivers here on the Costa Del Sol. There are too many accidents every year on our roads, and nearly all of them involve British drivers. Thanks to Brexit, we can now do something about it”. “Everyone knows that Spanish drivers are the safest in Europe”, Sr. Aletas De Batto continued. “We don’t blame the Brits for their dreadful driving, the fault lies with the DVLA and their terribly low standards. By introducing these tests, we can teach British drivers how to behave on our roads, and increase safety for everyone”. Drivers will need to understand Spanish road signs. This one signals that only red and black cars may drive side by side, vehicles of other colours must drive in single file. The new test for British drivers can be taken at any town hall in the province, by appointment only. It will comprise a theory element which covers everything from traffic light systems, driving on the right side of the road, local speed limits, and vehicle maintenance. The practical part of the test will include motorway driving, roundabout navigation, town centre driving skills, and appropriate hand gestures. Appointments will be made available from the 1st August. The mandatory tests will be introduced on the 29th March 2019, when Brexit is scheduled to take place. Residents will need to make an appointment at their local town hall to sit the theory test, which will cost €199. Upon completion of this, an appointment can be made to sit the practical test. This will cost between €321 and €329 depending upon the location. When this has been successfully completed, the driver will be issued with a license which will permit driving in Spain. This annual license will cost €30. Tourists who wish to hire a car will have to follow a different procedure. 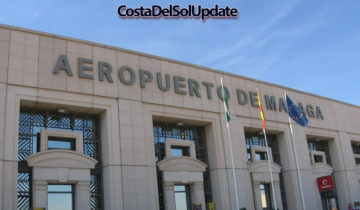 Upon arrival at Malaga Airport or the new Malaga Merida Airport, visitors must present themselves at the driving test registration desk where they will be able to sit the theory test followed by a fast track practical test. The total cost for this, including the license, will be €520. Checkpoints will be set up to catch British drivers who don’t have the new licence. 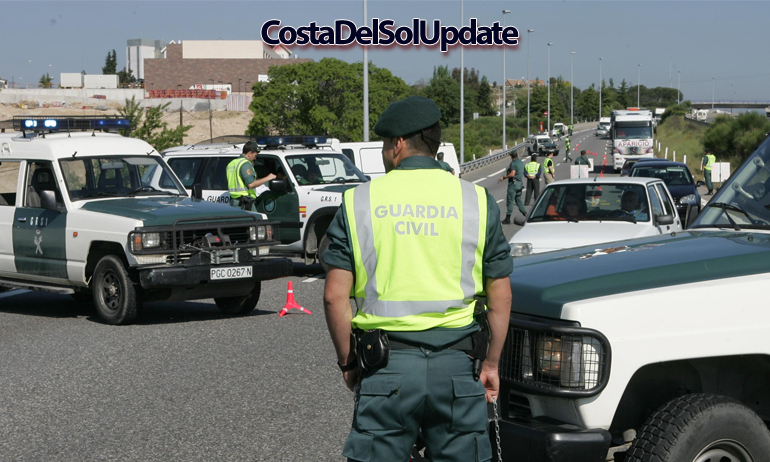 National Police and the Guardia Civil will be on the lookout for British drivers who haven’t passed the new tests. They will have the power to seize vehicles and impose on the spot fines to anyone caught without the correct license. Car hire firms will also be subject to fines if they are found to be leasing vehicles to unlicensed drivers. 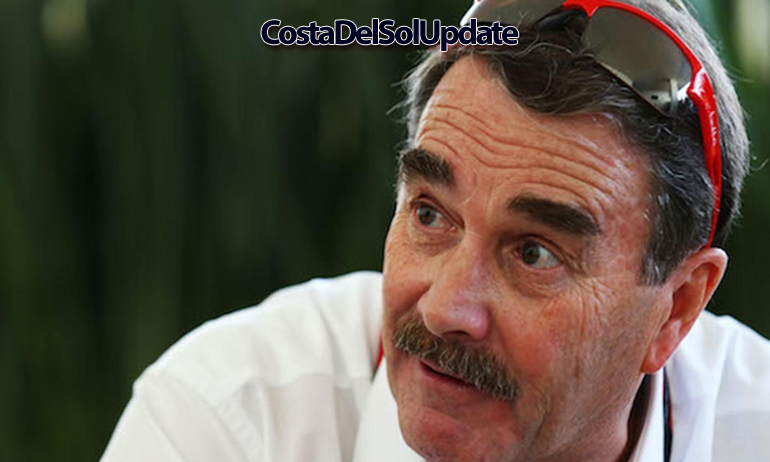 Nigel Mainsail (not from Birmingham) says it’s the Spanish drivers who need more tests. 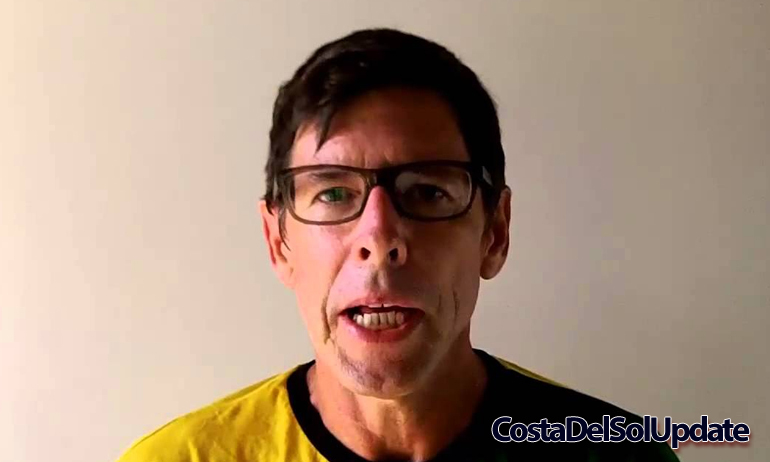 Nigel Mainsail lives in Estepona but is originally from Birmingham. He told us “I’m from Upton On Severn actually, not Birmingham. This is a disgrace, there is nothing wrong with British drivers. It’s the Spanish who should be taking more tests. Are you still listening to me? Are you awake? It’s my accent, it sends people to sleep”. Are you happy to be taking the new driving tests? Have your say in the comments section below. It’s ridiculous! A lot of British drivers will just not bother that will affect the tourists visiting Spain and there economy. They will be the losers in the long run. Mmmmm, it does not appear to be a sensible workable approach. Perhaps the UK should ban all european van and truck drivers who are responsible for lots of road traffic accidents and fatalities each year. Join the cool people who already get our news direct to their inbox! Like Us For More Laughs!